After a long hiatus, our “Meet the Staff” blog series is back. 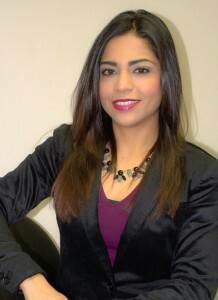 Please meet one of our newest employees, YAN Olga Yaneth López, who goes by Yaneth. Welcome, Yaneth! I am a Youth Academic Navigator. I work with disengaged students and assist them in making sure they stay focused in school and graduate. I started working for the D2 Center on December 7, 2015. I am a proud Omaha Central High School graduate. I obtained a Bachelor’s degree in Sociology at Bellevue University. I also had 9 months of job training as a teacher’s assistant in Madrid, Spain, in 2011. I first started working in the sales department for a local newspaper and then held some customer service jobs. It wasn’t until I started working for the Omaha Public Schools as a Bilingual Liaison that I started developing a passion to work with children of all ages. After a few years at OPS I moved to Madrid, Spain, to work as an English teacher assistant. After coming back from Madrid, I continued to work with children at Nebraska Families Collaborative as a Family Permanency Specialist (Case Manager), where I developed many skills that I am now using at the D2 Center to help disengaged youth. I also taught Spanish for a semester at Columbian Elementary for a school program. I have a passion to help children and youth with any type of need. From what I have seen at my previous jobs, many youth do not reach their full potential because they lack a person in their lives who motivates them. From my personal experience, having someone who can talk to you and give you the tools and support that you need to succeed is all it takes to graduate from school and succeed in life. I enjoy working at the D2 Center because I have the opportunity to reach out to those students in need and provide them with positive encouragement. I am passionate about helping children and youth and I am a firm believer that a positive role model can impact and positively shape a child’s future. By working at the D2 Center I am also part of many community events and meetings so I have the opportunity to learn more about the problems that are going on in our city. By doing this, we can educate families and students so we can have a safe community for our children and youth. I am from El Salvador and moved to Omaha with my parents and siblings in the late 90’s. I have two brothers and one sister. I am also blessed to have a niece and a nephew I enjoy spending time with. Most days, you can find me at the gym doing weight training or running charity races in the summer. I enjoy going to dinner and checking out new restaurants with my boyfriend or my close friends. Painting, cooking, salsa dancing and practicing my photography skills are never a bad idea. I also spend a lot of time traveling and thinking about my next destination.